Kaun Banega Crorepati has been on the top of the TRP charts right from the day of its premiere on TV. The upcoming Friday special episode of the show will see actress Taapsee Pannu supporting Dr. Subroto Das, who is also known as the Highway Masiha. Dr. Subroto is from Vadodara Gujarat, and is the founder of the Sanstha – Lifeline Foundation. Das talked about how the foundation helped the accident victims on the highway. Das’s son Sukanto also demonstrated the process of giving CPR to the wounded people upon the request of the host Mr. Amitabh Bachchan. Taapsee had a great time showing support to Dr. Das and also shared a few memorable moments with Mr. Bachchan, who has also been her co-star in the film Pink. Dr. Subroto Das also revealed that a few years back, he and his family had met with an accident on the highway and were lying injured for hours without any help. Fortunately a milkman stopped, who then helped to stop a bus. This was the reason why Dr. Subroto decided to bring Sanstha – Lifeline Foundation to life. Taapsee, during the event, looked great in a grey outfit and had a great time interacting with Senior Bachchan. The two co-stars were also seen clicking selfies with each other. The show Kaun Banega Crorepati is currently in its 9th season. 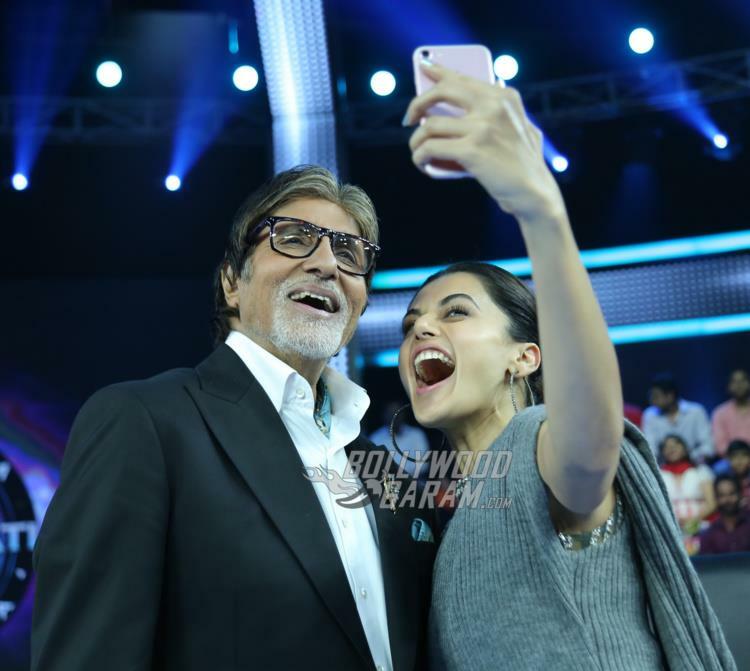 Exclusive photos of Taapsee Pannu at KBC 9 for Friday special episode!